this week: у меня нет слов!!! 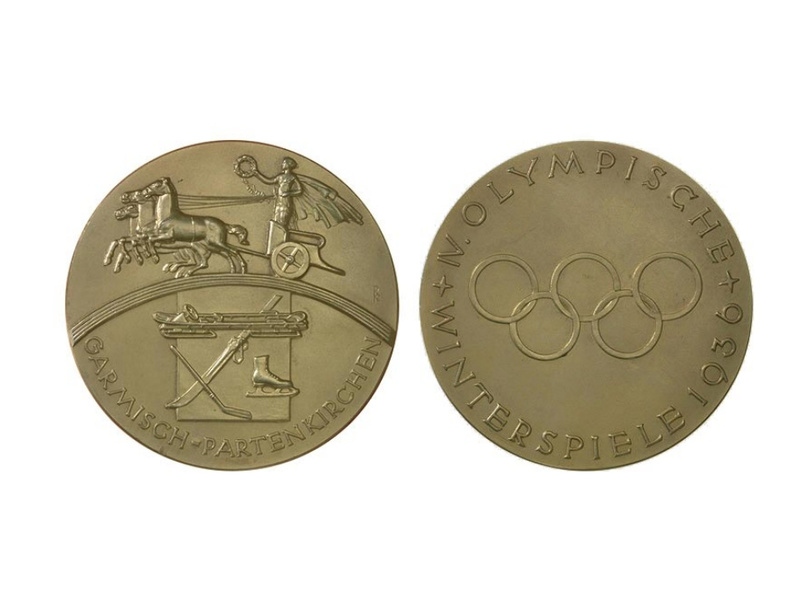 Medalsome: Garmisch gold, front and back, from the 1936 Winter Olympics. “Please join me in celebrating 41 years of not giving a damn about the Winter Olympics,” tweeted writer Gary Shteyngart this week. Steven Stamkos ne jouera pas pour #EquipeCanada à #Sochi2014. Un remplaçant sera nommé au cours des prochains jours. “It was a little shocking,” Stamkos said of learning that his leg hasn’t healed enough for him to play. Speculation on who would replace Stamkos hovered over Claude Giroux, Eric Staal, Martin St. Louis, and Taylor Hall. Henrik Sedin decided he’d have to miss the Olympics; Sweden shuddered. Boston’s captain Zdeno Chara went to Russia early to carry Slovakia’s flag at the opening ceremonies. When he’d done that, according to CP’s Stephen Whyno, someone cornered him to ask to the question all of us wanted answered: what does he think of the puck they designed specially for these Olympics? “It looks nice,” Chara confessed. Canadian coach Mike Babcock said six votes were cast in the vote to decide the Stamkos dilemma, one for the coaches, five for members of the management team. All of them were for St. Louis. Igor Larionov launched a five-part radio show on Friday of this week on SiriusXM’s Sports Zone (channel 92). Hosted by his daughter, Alyonka, “Igor Larionov’s Triple Overtime Radio” continues tonight with Larionov talking about his successes playing for the Soviet Union, which included Olympic gold medals in 1984 and ’88, though not in ’80. Guests over the course of the series will include Pat Quinn, Brendan Shanahan, Evgeni Nabokov, and movie producer Jerry Bruckheimer. The San Jose Mercury News talked to Viktor Tikhonov this week about playing for the Russian Olympic team. Not 83-year-old scary-taskmaster coach of Soviet and Russian hockey teams who won three Olympic golds and eight World Championships — this Viktor Tikhonov is that Viktor Tikhonov’s grandson, who plays for SKA St. Petersburg in Russia’s KHL. “Things you pretend to do when you’re a kid is win the Stanley Cup and get the Olympic gold,” said 25-year-old Tikhonov the younger. “Having the chance to do that now is a dream come true.” Born in Riga, Latvia, he spent much of his childhood in California. He was drafted first-round by Phoenix in 2008 and played 61 NHL games before heading to Russia. The description that’s posted on Keith Allen’s page at the Hockey Hall of Fame’s online catalogue of players is a bit of a downer — “a perfectly pedestrian two-year career in the NHL,” it starts out. It does, glad to say, go on to note his singular achievements as an executive, including his induction into the Hockey Hall of Fame as a Builder in 1992. 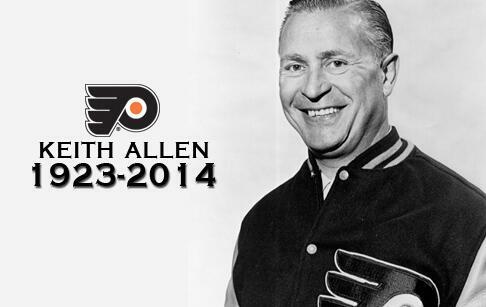 Allen, the man who built the Philadelphia teams that raised two Stanley Cup teams in the 1970s, died on Tuesday. He was 90. Hired originally to coach the team, he made his mark as when he moved up to the GM’s office. The list of his achievements is long: drafted Bill Barber, Rick MacLeish; traded for Bernie Parent, Reggie Leach; hired Fred Shero. Born in 1923 in Saskatoon, Allen spent his playing days as a defenceman, mostly in the minor leagues. He did play a part in two Stanley-Cup winning editions of the Detroit Red Wings, in 1953-54 and in 1954-55. 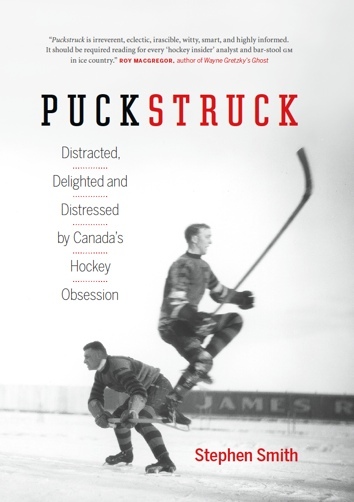 In Sportsnet’s magazine Sportsnet, Gare Joyce wrote about Shattuck-Saint Mary’s, the legendary high school/hockey-player manufactory in Faribault, Minnesota, whose alumni include Olympic captains Sidney Crosby and Zach Parise. Parise is remembered not only for the many goals he scored but for his propensity for spending all hours at the school’s rink, which was never locked.